Friday 24th August = FIFA 12 Free Play Day – open day for any players to come along and play FIFA (FIFA 12 and FIFA Ultimate Team) against their mates and other players. We will also run mini tournaments as and when enough players are in the arena. Get signed up for the FIFA activities for the weekend during this day. Saturday 25th August = Headline FIFA 12 1v1 tournament. Win up to £960. TUP and BYOC ticket holders only. Sunday 26th August = FIFA 12 Pro Clubs Pilot Tournament (based on Ryder Cup format). FIFA Clubs teams of 4 players will play in a set of 4v4, 2v2 and 1v1 matches to find the i46 FIFA 12 Pro Club Champions. Free to all event ticket holders. Monday 27th August = FIFA 12 2v2 tournament + FIFA 12 Free Play Day – come along and play FIFA with your mates and enter the 2v2 tournament. £10 per team. Free to enter for TUP and BYOC ticket holders. 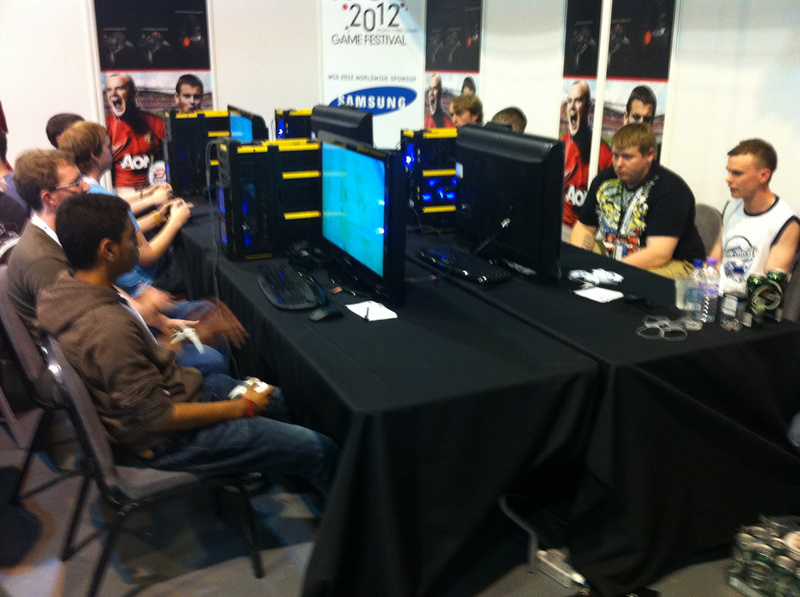 FIFA Free Play Day – Come and play some casual FIFA12 with some of the best players or your mates at Insomnia!